Pe coated Aluminum Foil adhesiveTape is a newly-developed outside anticorrosion protective material with strong selfadhesive and UV resistance property. 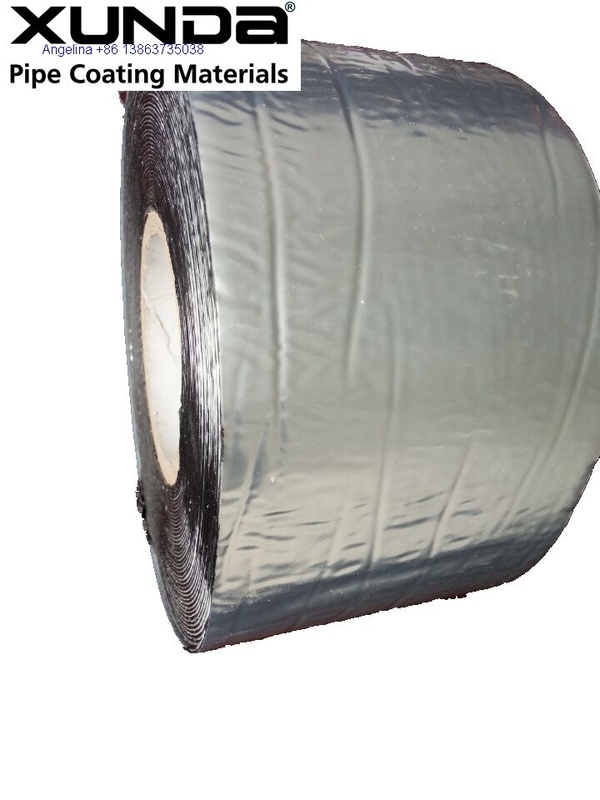 The product employs plasticizing aluminum foil as the backing material, butyl rubber modified asphalt as the adhesive layer, and antiseize parting film as the cover. The product is mainly used in the anticorrosion works related to natural gas, petroleum, chemical industry, pharmacy, heating power and oil, gas, water heat transportation in urban construction. Having adopted the flexible and smooth aluminum foil backing material which has excellent qualities in reflecting sun rays and resisting ultraviolet, and butyl rubber modified asphalt of strong anticorrosion and adhesive as the adhesive layer ,the product is free of water, aging, solidification or cracking. In addition it will not change or peel in the long run. Thus it has internal quality of strong anticorrosion, and elegant external appearance, which has been proved in practice. dry. If the rust is removed manually, the effect should reach St3;if mechanically, the effect should reach Sa2 and comply with SYJ4007 86. 2) Primer coating: Specialized matching primer is supposed to be used. During the process keeping it away from the fire, mix it evenly and use clean brush, roller or other mechanical method to coat it. The appropriate primer quantity applied is 12㎡／L by manual coating, and 20㎡／L by mechanical coating. 3) 5 to 10 minutes after the prime coating surface dried, the wrapping can be started. 1) Keep it away from insolation, rain, freezing atmosphere, pressing, heat source or open fire. 2) It should be stored or transported in the temperature of -20℃一+35℃ .